In traditional medicine linden tea is used as a remedy treating inflammatory diseases of the respiratory system: bronchitis, pharyngitis, laryngitis etc. 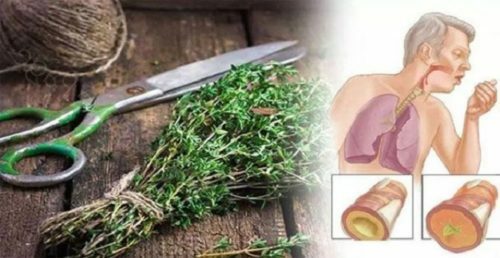 The reason is because the essential oils from these flowers can soften the secretions of the inflamed respiratory organs, which relieves the cough. The linden tea is used for reducing high temperature, for overheating the body, which can be great for treating flu and colds. In traditional medicine, linden tea is also used in the treatment of stomach inflammation and inflammation of the intestines and bile, but also in case of urinary disorders. It can have a mild sedative effect, so it is used to calm the nervous system, as well as for a better sleep. Take 10 to 20 grams of dry linden tea and cover them with 1 liter of hot boiled water. Leave the tea to steep for 10 minutes, strain and drink one cup, 3 times in a day. If you add one tablespoon of honey and lemon juice, it would be great for reducing high body temperature, so it is recommended to stay in bed after drinking. Take 50 grams of linden tea and cover them with 3 liters of hot water. Leave the tea aside for 10 to 15 minutes, strain it and pour it in a tub with hot water. You should stay in the water for 20 minutes, in order to open the pores and this way the beneficial substances from the linden will penetrate in the body. In 250 ml of water add 25 grams of dry linden, boil it until the amount of water is reduced in half. While this tea cools, add 250 ml of milk on low heat and add one tablespoon of honey. Boil the milk until is reduced in half. In a big mug, combine the tea and the milk. Drink 1 to 2 cups of this drink in a day. Drink it for longer period of time, until you improve your blood. People who have problem with wrinkles, freckles and acne, people who have sensitive skin that is easily irritated should use stronger linden tea and apply it on the face using a cotton ball. Take 30 grams of linden tea and cover it with 200 ml of hot, boiling water. Allow to stand for 10 minutes in a covered bowl. Then, take a piece of gauze, dip it in the tea and place it on the face to act for 20 minutes. In 100ml of boiling water, add one teaspoon of linden tea and one teaspoon of sage tea. Leave it to strep for 10 minutes, strain it and drink it before going to bed.